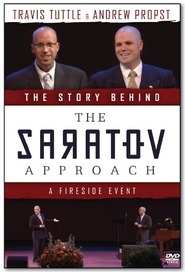 The Saratov Approach is the extraordinary, untold story of Elders Travis Tuttle and Andrew Propst and their week-long abduction in Saratov, Russia. On what seemed like any other day during their two-year LDS missions, Elders Travis Tuttle and Andrew Propst are approached by Nikolai to meet a friend. But then the missionaries experience the unimaginable — kidnapped, beaten, and held for ransom for nearly a week — on the other side of the world in Saratov, Russia. While their family, friends and the world pray for their safe return, Tuttle and Propst are tested physically, emotionally and — most of all — spiritually. Garrett Batty grew up in Park City, Utah, home of the Sundance Film Festival. After graduating from Brigham Young University’s film program, he moved to Los Angeles to continue his career. In 2008 he wrote and directed Scout Camp, a family comedy which received nationwide DVD distribution. The Saratov Approach is his first theatrical release. Garrett lives in Utah with his wife and their four children. It was a good story but thought it could have been done better. Definitely not a movie to watch over and over again. I’ve come to the conclusion that this splendid independent film comforted this future mother of Mormon missionaries. Yes, you read that correctly, it comforted me. Why on earth did this story of a horrific kidnapping comfort me? It did so because it reinforced my faith in the promised blessings of serving God. The outcome may not always be what we want it to be but in the long run there will be an enriching gift from God for the service. In other words, I’m under no illusion that missionaries will always be safe, that’s why Church members pray for them often. Rather, I was reminded that there is a strengthening power in the testing of faith, both for the missionaries and for those love ones they temporarily leave behind. Hence, this film showed me that trusting God leads to growth. had some anxiety about watching this movie since I have high hopes that my children will serve a mission for the LDS Church one day. I worried at the level of danger the film would show and concerned how that would affect me as a mother of potential missionaries. Knowing the good outcome did ease the concern but I still braced myself for the account that would befall the young men and curious how they would come out of the frightening experience. Wow! I was drawn in from the get go. The initial scene was of the missionaries visualizing an escape plan that involved violence, something hard to imagine a missionary would do but to me suggested the desperation of the situation. Then the movie takes you back to the days leading up to the abduction. At this point, beautiful scenes of the missionaries doing typical service was being portrayed. Then the anticipated terrifying abduction scene fell on screen. Oh my heart. The moment I feared that my children (any child for that matter!) would not go through was up front and center. The dark lighting helped to soften the image of the beating that was happening but the intensity was felt by this alarmed mother. Here we go! The film then continues with the account of the experiences that the missionaries went through leading back to the first scene. We got a good taste of the thought process of their families, community, and the world as well. My particular favorite scene was the empathetic call from the adult character, Mark Larsen, who was kidnapped while he served in Argentina. His words were consoling. At this point I was able to exhale because it foreshadowed a resolution. Later, we come to find a great peace to the tone of the movie. A spiritual enlightening that wrapped up the intense drama. The musical score was amazing and fitting. The acting was great, particularly the captors. But, I found Tuttle’s character a bit overdramatic a few times. Finally, the camera presentation was fantastic even with some shaking. It got you up close and personal and therefore invested in the movie. Suspense filled and yet very moving. It never ceases to amaze me how LDS film makers are able to put together great stories with such a good message. Two BIG thumbs up. Gripping from the first moment! 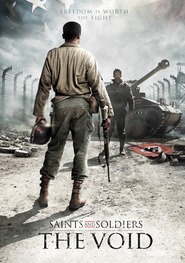 We have watched this movie several times, showing it to others. It is thrilling and inspiring. We appreciate quality movies that we can watch as missionaries. It has made us think while being entertained. Thanks to the director for a true depiction of a harrowing event. God does indeed answer prayers and my prayer is that this story will bring many to Jesus. Superb acting and filming!! I shared it with all my family. Definitely a keeper!! This was a movie we could certainly relate to. Our 3 sons went on missions and had some hair raising experiences as well; though not as intense as this one. The superb acting seemed to bring you right into their thoughts and minds, experiencing what they experienced. After seeing it in the theatre, we went right out and put a deposit on it, waiting for it to appear as a DVD/BluRay. Wonderful! I would recommend this movie to anyone especially those struggling with their testimony. Two missionaries caught in a very bad situation and they listen to the still small voice. Sometimes we want to think we're alone and sometimes we see dramatic changes in ourselves that we never imagine happening. Every character in the movie is strengthened in their own ways. You will be moved. This is a most excellent movie. Great Actors! I felt the emotion from the missionaries, those who held them captive and their parents. My whole family loved this movie. I would recommend to everyone. What a wonderful movie! Excellent story and cast! A little slow in the beginning, but then more than makes up for it. I'm going to be really upfront here and tell you that I debated for a while about viewing this movie. I knew it was going to be an emotional one. That it would probably upset me, at least a little. I didn't know if I wanted to deal with those emotions. 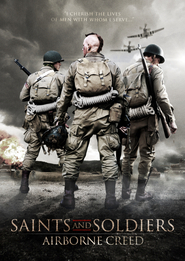 I actually knew one of the missionaries (well was acquainted with him from church, but more of knew his sister for a brief period of time) the movie is based off of. I remember vaguely about this happening, but it was a long time ago and people move away and grow up. I didn't remember most of the story. I just remembered that it had happened, but I wanted to know more about that and what he and his companion learned. 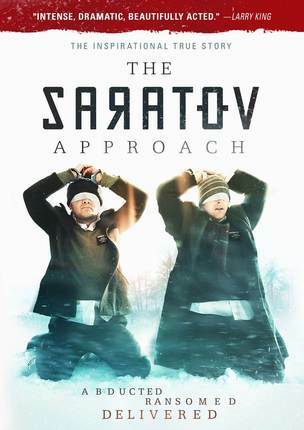 Let me just say that even if you're not a member of The Church of Jesus Christ of Latter-day Saints, that I would recommend watching The Saratov Approach. I have watched other movies based off of true stories of those in different religions and cultures and I believe that there are things that are universal. Things we can all learn from each other and that can inspire us regardless if we agree one hundred percent about everything or not. This story was so sad. These two young men who are out on religious missions and trying to just serve and bless the lives of those they come in contact with are taken and held for ransom. I knew that their ransom wouldn't be met. The United States never does, nor do churches, ever pay ransoms. The effect of doing something like that would be too damaging. To watch as these men struggled with their fear and their faith, while their families did the same, was very heartbreaking. I definitely teared up a few times. I am a mother who will eventually send my boys and maybe my girls out on missions. It is scary for anyone to let their children go like that for any reason and trust that they'll be alright. This is pretty much a parents worst nightmare to have happen. I thought that the movie was done really well. The acting was decent and I was definitely engaged in the story. They showed enough and balanced all the different aspects of what was going on so that the viewer could connect and understand without being overburdened. I have a deep respect for these two men. I'm sure their experience has been a huge influence in their lives. It was definitely worth watching and I am planning on recommending it to my family and friends. I hope this story continues to inspire others to have faith. Before my son left on his mission to Chile, he told me he didn't think it would be a good idea for me to watch this movie. He thought that I would worry about him more than I already do. When I saw that "The Saratov Approach" was available for review. I jumped on it. Could it be that I am experiencing a little bit of motherhood rebelliousness? It is possible. I am glad that I watched this DVD. 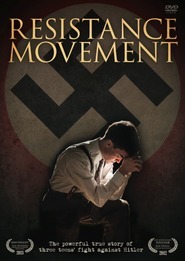 It is well done and illustrates the power of faith and prayer. Elder Tuttle and Propst were put in a difficult and dangerous situation. They could have given up at anytime, but they didn't. They continued to listen to the spirit and with faith helped each other through the ordeal. I loved watching how they related to each other and showed compassion for their captor. This DVD didn't make me worry about my son any more or less. It did increase my faith that my son is watched over. It strengthened my spirit. I intend to show how rebellious I am by watching it again. I received a complimentary copy of this DVD in exchange for an honest opinion. I did not know this story till I heard a little about it when in theaters last year. I waited to see it when my daughter was home. Watching it with my daughter was special. I recommend seeing it with tissues close by. This is a moving story about two LDS Missionaries serving in Russia who were kidnapped and held for ransom. The missionaries were targeted because they are from the US. They belong to a big church. I can understand why you can not pay kidnappers because more missionaries or other church leaders would than be kidnapped. I can also understand how tempting for the families to pay it. I want to make comments about different scenes in the movie but I would be giving away too much of the story. The faith in God the missionaries and their family showed was touching and uplifting. How people of faith all come together to pray for them brought tears to my eyes. This is a movie that I would watch again and again if I can get the DVD back from my girls. My daughter and a bunch of her friends from her singles ward watched it and enjoyed it too. Yes tissues were used again. This movie is all it was advertized to be and worth having in our collection! My only complaint is that when a movie is pre-ordered, the advantage besides the reduced cost should be that the movie arrives the day it comes out, not a week later! Next time I'd be more inclined to just wait until it comes out and buy it locally even if it costs a dollar or two more. A wonderful uplifting movie. A must see! We cannot imagine what these wonderful young Elders experienced, but the movie does a magnificent job in portraying the story. Although there are many lessons within this film, one that stands out to me - was when these elders could not do harm to their adversary, but rather chose to pray for them. It has caused me to look to my own life and wonder how I can apply that lesson. The movie was a "gift" to me, not because it was given to me, rather because of the message of the gospel, the Lord's answers to prayers on the part of many, and lessons learned that apply personally. I hope it does the same for you. I remember this actual story in the news. Then I didn't pay to much attention to it. I saw the movie with my daughter and her non-lds boyfriend. I so loved this movie. The elders faith and how the hand of God works for the good in people's lives. My daughters boyfriend really liked the movie but he was hoping that they would have taught the gospel more in the movie. That's what missionaries are for. I can't wait for my son who is right now serving a mission to see it. I would highly recommend this movie to anyone. Can't wait until I own it. Great drama. It kept me on the edge of my seat. The Saratov Approach is a great movie. My heart ached for the boys and their families. I especially liked seeing the faith of the two Elders and the had of the Lord working in the lives of everyone involved. I like the story, it was based on true experiences. Very emotional and faithful story. Well acted. Thank God for their safe return.